Today in Williams County history (January 15, 1871): The West Bethesda Presbyterian Church was dedicated. The West Bethesda Presbyterian congregation was organized January 31, 1848. The congregation took its name from the Bethesda Presbyterian Church in Columbiana County, Ohio, where many of West Bethesda’s early members worshiped before immigrating to Williams County. In 1850, the congregation erected a wooden frame house of worship at the southwest corner of County Roads 12 and I, at the north edge of what is today the church cemetery. Construction of the existing church structure began in the fall of 1869. The building was formally dedicated on January 15, 1871. In 1946, the church was remodeled and a basement placed under the structure. Four classrooms were added to the church in 1962. 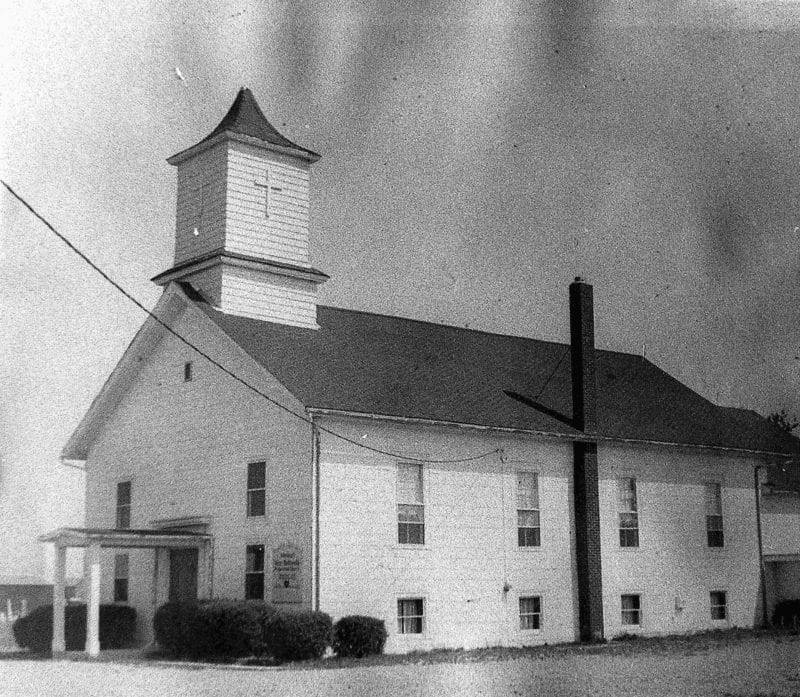 This 1976 photograph of West Bethesda Presbyterian Church is from the 1978 Williams County history published by the Williams County Historical Society–Courtesy of the Williams County, Ohio, Local History Exchange. Be the first to comment on "(1871) – West Bethesda Presbyterian Church Dedicated (Rural Montpelier, Ohio)"